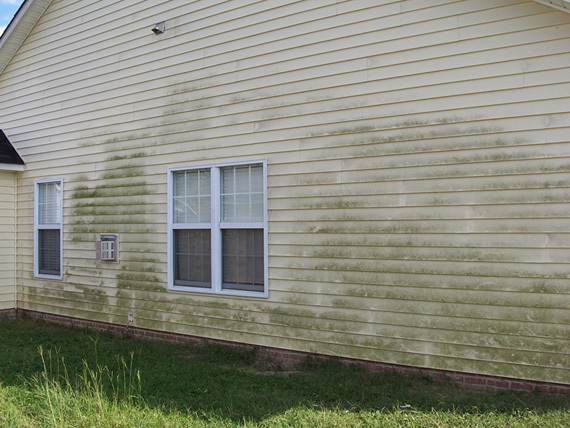 If you are a homeowner looking for residential pressure washing in Florence SC, you have come to the right place! Clean Finish is the area’s premiere pressure washing company, combining a professional set-up, attention to detail, and years of experience into one outstanding power washing provider! Our residential services are perfect for a variety of homeowner needs. We clean anything and everything. For siding, we clean and have experience cleaning all types of surfaces ranging from brick to stucco to wood to vinyl. Additionally, we also clean a number of other things, including driveways, porches and patios, swimming pool decks, wood decks and fences, roofs, and even gutters. Our professional equipment assures us that the job will be done quickly, efficiently, and correctly, saving you valuable time and hassle to focus on doing pretty much anything else other than cleaning your house! Besides our experience and professionalism, we are fully licensed and insured for your peace of mind! We guarantee the quality of our services 100%, and we are not fully happy until you are! We work hard for your satisfaction, and we guarantee that you will be absolutely wowed by the quality and affordability of our services. Aside from Florence, we also service homes in a number of nearby areas including Sumter, Camden, Bishopville, and even Columbia. To start your residential Florence SC pressure washing today, please give us a call or email west@clean-finish.com now!